LONDON -- General Motors Co.'s cost-cutting alliance with PSA/Peugeot-Citroen shows it made the wrong call in pulling out of a deal to sell its European operations to Magna International Inc., said Siegfried Wolf, who led the failed bid. Since opting to keep the Opel/Vauxhall division, GM has failed to grant the brand the liberty to innovate that automakers in costlier countries need to be successful, said Wolf, who now heads Russian car company GAZ Group. "I think still that it wasn't the right decision on GM's part," Wolf said in London on Friday. "I'm convinced that if they'd sold it that would have been better for both." GM and PSA will build small and mid-size cars together under a deal announced Feb. 29, something which will heighten rivalries between plants, according to France's FO Metaux union. 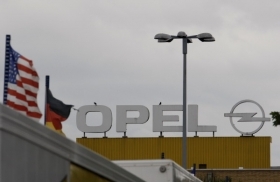 At Opel, which has already cut almost 6,000 jobs, the deal casts doubts over the future of older car production plants in Germany and the U.K.
Wolf said that Opel and sister brand Vauxhall would have benefitted from more autonomy and an injection of "pride." "You see how they struggle, because they weren't given their own identity," he said. "The affiliates are still too dependent on the mother house. Being in high-cost countries they need to be given freedom to do more and show some ingenuity." The approach from Canadian supplier Magna, which was backed by Russia's Sberbank, failed after an agreement with GM was scrapped following the appointment of new board when the Detroit-based company entered bankruptcy protection. Wolf still has links to GM. Last year, GAZ -- controlled by Russian billionaire Oleg Deripaska -- agreed to produce 30,000 Chevrolet Aveo sedans and hatchbacks annually for GM at its plant in Nizhny Novgorod. GAZ also has accords with Volkswagen and Daimler.